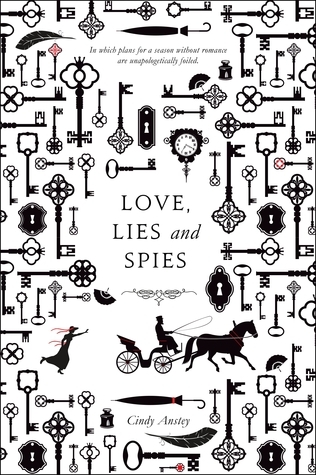 I have another serious case of cover-love with Love, Lies and Spies by Cindy Anstey. I’m not sure when I’ll get a chance to read this, because I really need to try to get through more of the books I already own before buying more, but it’s been added to the TBR list. It’s a stand-alone novel, so I don’t have to worry about following a huge series for years, and it’s more YA historical mystery, which is rocking my world these days. What books did you add to your TBR list this week?